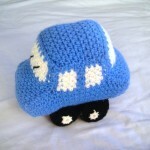 This is the little car I created for my youngest. 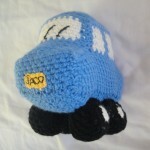 It took me just over a year to “imagine” it, make one, write the pattern down, and test it. Took me 3 more months to actually sit down and type it out properly. So far I have made 5 complete cars and enough bits and pieces for at least 3 more, although when I’m going to get around to putting them together is a whole other story. Update: Good news, happy hookers! 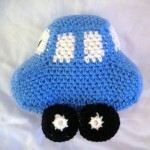 You can now find the FREE pattern for the Little Blue Crochet Car HERE. Do my wheels look fat in this? Is this pattern available. Every time I click on the “here” it takes me to a page with no pattern :-( Thank you. 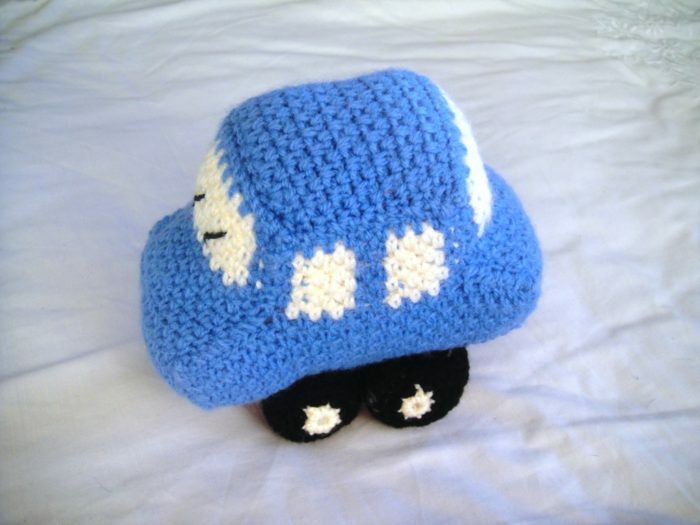 Are any of the other patterns for vehicles available? 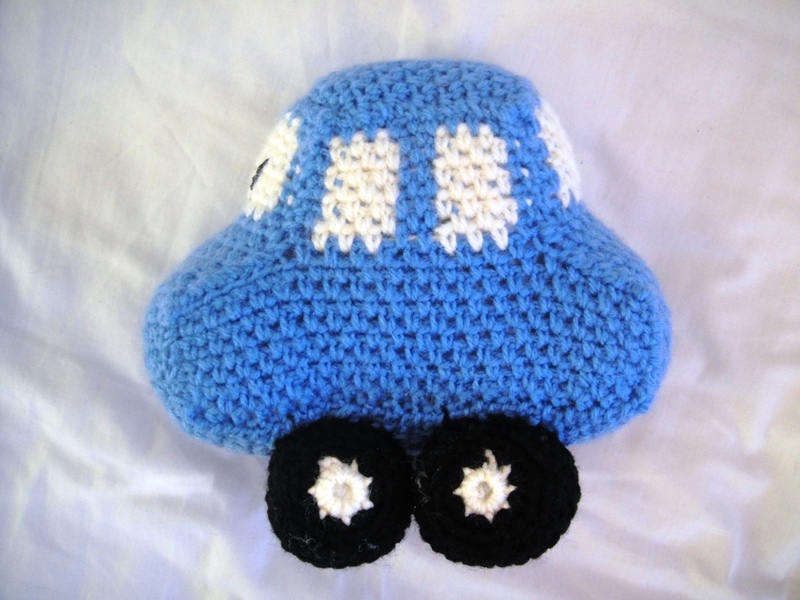 I have a new born nephew who I’d love to make these vehicles for. 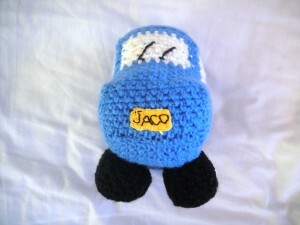 If you scroll down on the page it takes you to, there is a pdf you can click on to access the pattern. HERE is the link to the pdf again so that you don’t have to look for it. There is also a tractor and a digger loader. id like to make this one, can u contact me?